Practice Area Questions Answered. Please browse our Q & A section for answers to some common estate planning questions. If you have another question you don’t see, please call and schedule a consultation. 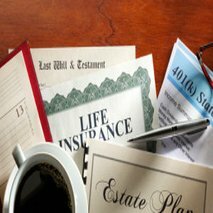 Furthermore, I would be happy to answer any questions you may have about estate planning. A: Probate is the process wherein the deceased individual’s estate, including a will if one exists; is submitted to a court in order to settle the estate or “close out” the estate. Also, during probate, the court appoints a Personal Representative and provides this Personal Representative with testamentary letters; to administer the deceased individual’s estate. To ensure the competent administration of the estate, the court maintains jurisdiction over the estate while in probate. A: An estate is an individual’s total assets minus liabilities, in other words, a person’s net worth. Assets include things like; real property, cash in bank accounts, automobiles, notes, stock certificates, personal property (jewelry, art, tea cups, etc.). Liabilities include things like; federal and state taxes owing, property taxes owing, personal debts, judgments, outstanding court-ordered spousal maintenance or child support, etc. A: In general, a Personal Representative is an individual the probate court appoints to administer a deceased individual’s estate. Thus, the Personal Representative has court appointed power equal to that of the deceased individual. Also, this allows them to settle debts, sell property, and make distributions. Q: What are testamentary letters? A: Testamentary letters are letters provided by a court during probate that give the court appointed Personal Representative the authority to act on behalf of and in the place of the deceased individual. In addition, this court derived authority empowers the Personal Representative to; free assets that were frozen at the death of the individual, pay debts and distribute the assets to the beneficiaries. Q: What does it mean to administer an estate? A: Administering an Estate is the process of identifying assets and liabilities of a deceased individual’s estate; freeing up frozen assets, liquidating (selling) assets, paying taxes and bills, and making gifts or distributions to beneficiaries. A: A Beneficiary is an individual who also receives property of a deceased individual’s Estate.